David Aguilar, a 19-year-old bioengineering at the Universitat Internacional de Catalunya in Spain, was born without a right forearm, but that didn’t stop him from pursuing his dreams. 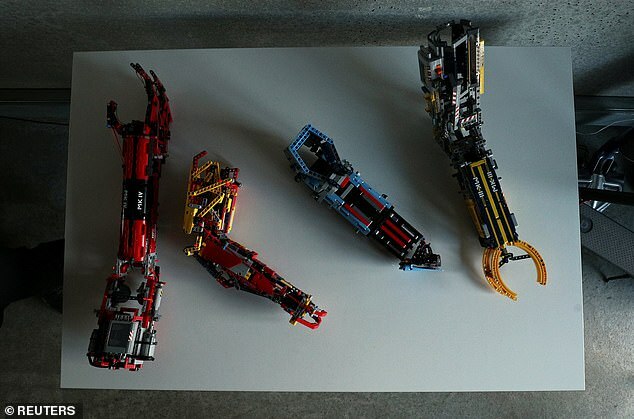 He’s already built several versions of a prosthetic forearm using LEGO parts with the ultimate goal being to design affordable robotic limbs for those who need them. “As a child I was very nervous to be in front of other guys, because I was different, but that didn’t stop me believing in my dreams. I wanted to … see myself in the mirror like I see other guys, with two hands,’ said Aguilar, who uses the artificial arm only occasionally and is self-sufficient without it,” said Aguilar to Reuters. Read more for a video fo the first version of the arm. “All the versions are on display in his room in the university residence on the outskirts of Barcelona. The latest models are marked MK followed by the number – a tribute to comic book superhero Iron Man and his MK armor suits. Aguilar, who uses Lego pieces provided by a friend, proudly displayed a red-and-yellow, fully functional robotic arm built when he was 18, bending it in the elbow joint and flexing the grabber as the electric motor inside whirred,” reports The Daily Mail.